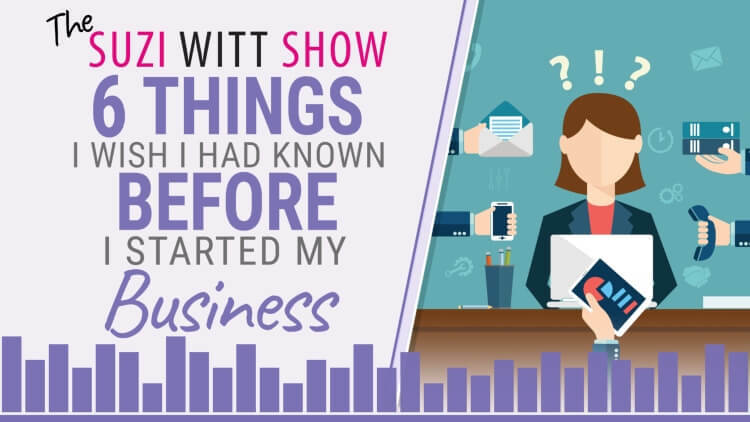 In episode 13 of the Suzi Witt Show, I am talking about 6 things I wish I had known before I started my business. For any small business, the benefit of hindsight is so valuable. So what do you do when you don't yet have much experience to look back on. In this week's episode I share some of my experiences of things I kinda got wrong. Listen in to find out 6 things I wish I had known on day 1. Find out what incorrect assumption I made when I started my business. Understand some of the key mistakes most of us make when starting out. Learn what I would have done differently if I could start over. TSWS: 010 What should you do when your customers say your prices are too expensive.